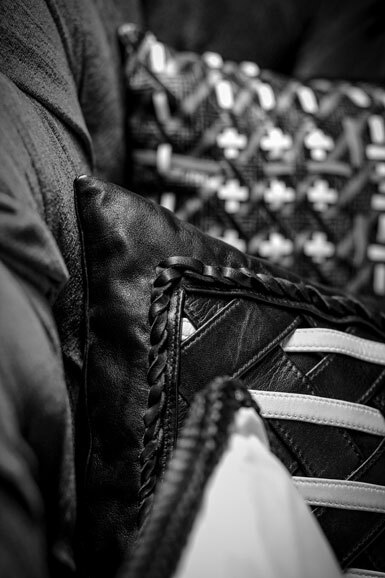 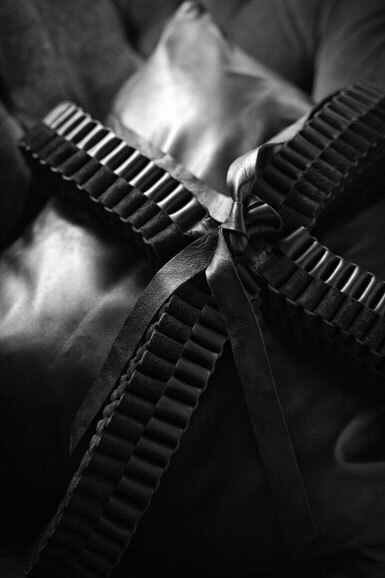 For his leather cushion capsule-collection, the Parisian designer Vincent Richard de Latour has primarly selected dipped lambskin for its sensual, silky appearance and for its extremely soft touch. 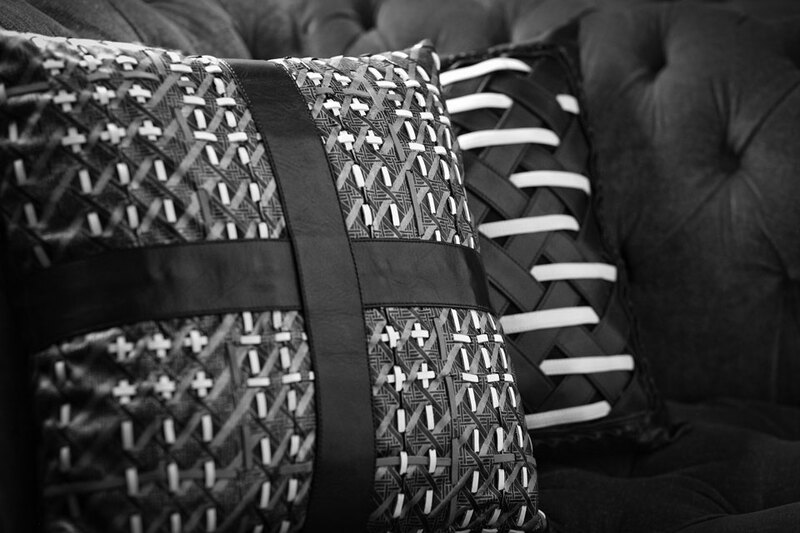 Every piece is unique, entirely hand-made, requiring hours of work. 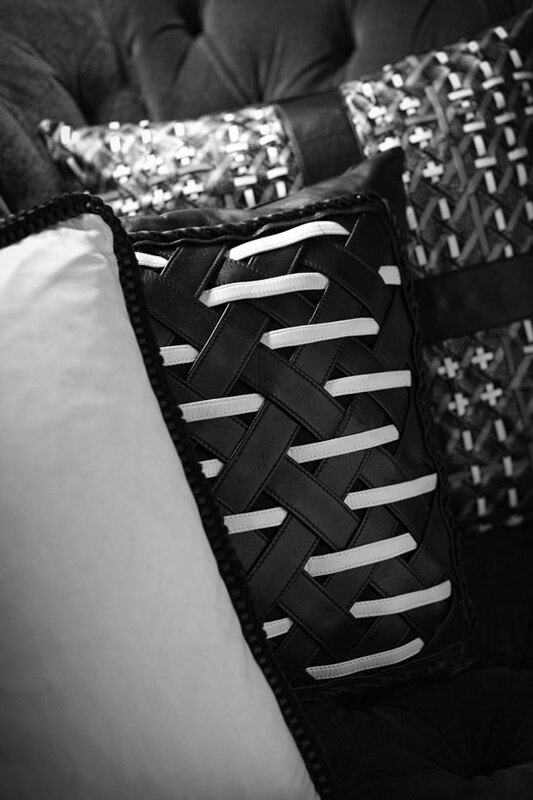 The result is striking: leather stripes interweave and overlap creating a stunning luxury collection of tenderly armoured cushions.